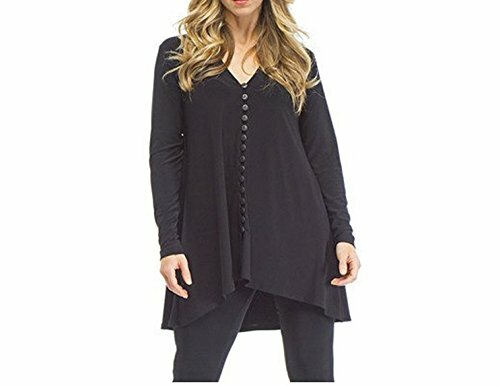 The Sympli Women's Duo Diva Top Long Sleeve is comfy and stylish. Flattering v-neck, slight high low hem line, button closure at front, relaxed fit, a-line, signature Sympli fabric. The Sympli Women's Duo Diva Top Long Sleeve is comfy and stylish. Flattering v-neck, slight high low hem line, button closure at front, relaxed fit, a-line, signature Sympli fabric.